I.S. a loving peace for you. It’s a simple love story. The simplest, the most romantic. close to Chankai at www.facebook.com/chankai.v From Chankai’s angle, you will find the uniqueness of each love story. Let’s use more imagination to experience the taste of Chankai’s style. 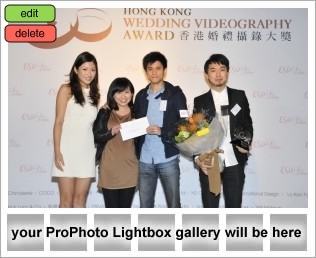 enter “www.chankai.hk” to discover the videographer-Chankai. I got 3 Prizes in HKWVA held by Esdlife! I got a Prize in Sony Award!